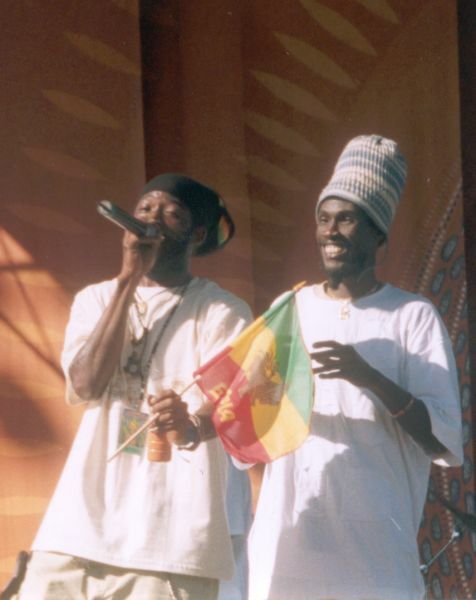 Loved this era of Midnite and caught them at Reggae in the Park in SF that year in 2004 just after Aishanant Maps was released. Was super stoked to meet Phil that day as he was cruising through Golden Gate Park. The line up then was Vaughn singing, Ron on keys, Abijah on guitar, Dion on drums and Phil on bass. I know that Phil was a victim of gun violence a couple years back and I hope that he is doing well and made a full recovery. Excellent performance and recording from their prime. Check the tempos and amount of lyrics back then. Nowdays is like the Lawrence Welk retirement center version. Nice, but that video fails to include the first 1/2 of their set that night which included their playing a crucial >15 minute "Knocka Fia" for the first time (to my ears anyway). did Loren mix FOH at this show? It's a great mix. I am so stoked that I came across this recording yesterday. Hi*Fi - Most definitely agree with you there. I had forgotten how much more upbeat their tempo was during that era for the band. Daniel - I recall them playing the epic version of Knocka Fiya at the Golden Gate park show along with most of Ainshant Maps when my wife and I caught their set that year during this tour. I sure miss going up to the city in October for Reggae in the Park. Great memories fo sho! Was it SNWMF 2003 or 2004 when they played and had Ikabah and Dezarie with them for a couple of songs? In 2004, Midnite graced the valley stage for the first time. Dezarie & Ikahba had their own set on the village stage. It was Sabbattical Ahdah who joined Midnite onstage for a couple of songs that year. This is awesome! thank you Mikey J for sharing! Stuck at work right now but you can believe as soon as I get home I am watching the video you posted! I too would love to hear that 15 minute Knocka Fia song. I sometimes wish they played that song live more often. Only seen them perform that song live once. Reading these posts makes me feel sad that I did not find Midnite until 2006, in 2004 I was still in LA playing college soccer and was not even into reggae other than Bob Marley. I still think Midnite is the greatest band I have ever come across but would have loved to seen them back in the day. I cant imagine Dezarie or Sabattical Adhah walking on stage while Midnite was doing there thing, I would probably freak out. Edited 1 time(s). Last edit at 11/21/2013 07:56PM by rossta8888. So this is the first half of the set? Awesome set list, cannot wait to listen to it later today. Interesting how they start out with Love the life you live. 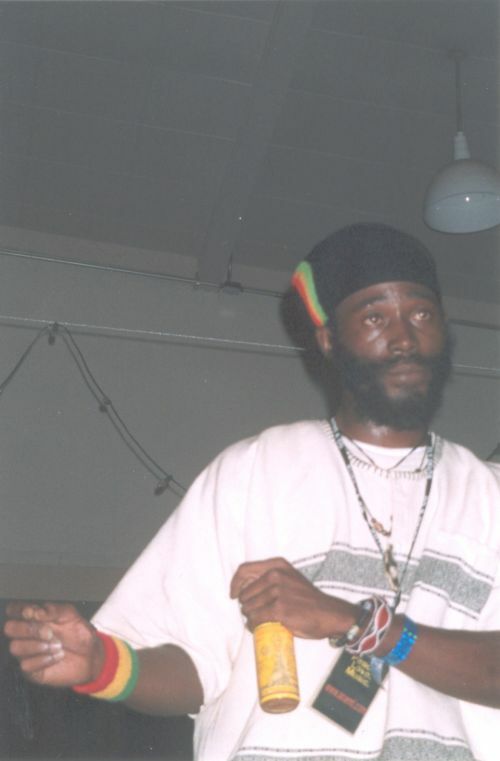 Since I have found Midnite it has always been He is Jah, Jah Ova or Mighty Race. I love Grapes of Wrath! Always a treat when you get to see that song live. That photo brings back great memories of Snwmf at angels camp. Didn't Sabbatical pop Into the dancehall for a short appearance that weekend? Thank you for that info Daniel, Zion Pavilion used to be there staple huh. Very cool, If anyone comes across the opening half of this set I would love to listen to it. What has happened to Sabbattical Ahdah? So much talent and an amazing voice. I have been searching for a copy of Heart of Joy for some time now and came across one on ebay for $150 but I did not have the funds at the time. I wrote to Tippy at IGrade on FB once asking about Sabbattical and a possible IGrade album! He responded that Sabbattical is a BIG artist and maybe one day. That would be a very special album. PM me with your mailing address and I'll send you a copy of Heart of Joy. I love his works and have been waiting for years for a follow up release to Heart of Joy. Lets hope they tour soon, I am beyond ready to catch a live show. Hoping Lion out of Zion gets released today or tomorrow, I have not been looking forward to an album this much since Kings Bell. Are you from the east coast John?? I check Midnite's website everyday hoping to see a NW tour posted. I wish that I could fly back for that NYC show, would be amazing! Id love to see them on the east coast and see if they perform any different than they do here on the west coast.